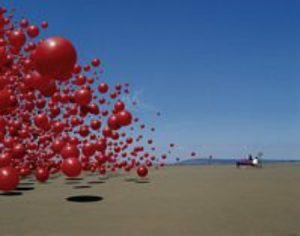 London’s John Martin Gallery and Media Contemporary Arts are jointly preparing for a major exhibition of Storm Thorgerson’s art to open next month. This will mark Thorgerson’s first public exhibition since he suffered a stroke last October. 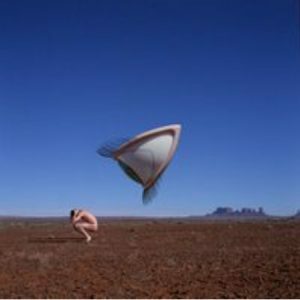 Thorgerson’s surrealistic album covers are some of the most easily recognized in rock ‘n’ roll history. 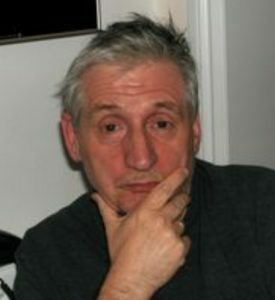 His credits include Pink Floyd’s “Dark Side of the Moon,” “Wish You Were Here,” “The Division Bell,” Led Zeppelin’s “Houses of the Holy,” and Audioslave’s self-titled CD. Of course, Cranberries fans will recognize him most for his work on the art for “Bury the Hatchet,” “Wake Up and Smell the Coffee,” “Beneath the Skin: Live in Paris,” and design elements of theCranberries Official Website. The exhibition will be held from September 21th until October 9th at the John Martin Gallery in in Chelsea at 6 Burnsall Street, Off Kings Road, London SW3 3ST. The exhibition will be free to enter. The normal-sized “Bury the Hatchet” is already available for purchase fromwww.jmlondon.com. A 19″x19″ design is silkscreened onto a 33″x25.5″ paper by Coriander Studios. The “Body Series” print is limited to an edition of 125. Cost for the “Bury the Hatchet” print is £300.00 + VAT (UK only), or about $540. After nearly four months on the market, Dolores O’Riordan and Don Burton have found a buyer for their Kilmallock home, Riversfield Stud. When the couple put their home up for sale in April, it originally had an asking price of €3 million. After the home attracted substantial interest, Dolores and Don decided to briefly take it o the market to readjust the price. Weeks ago, they bumped up the price by 50% to the final price of €4.5 million. A new TV comercial for Payless Shoes airing in North America features The Cranberries’ “Dreams” as the backing track. The TV spot shows women plucking clouds out of the sky and then sticking them on their Airwalk fleece boots. The ad is currently airing on several major stations in both the US and Canada. In a recent interview with Italian newspaper Il Giornale, Zucchero told the newspaper that he expects the DVD release of his extravagant Royal Albert Hall concert to be released in October. A DVD video of the concert has been planned since it took place in May, where Zucchero performed with a number of artists from “Zu & Co.,” including Mousse T, Dolores O’Riordan, Solomon Burke, Tina Arena, Brian May, Luciano Pavarotti and Eric Clapton. This news moves up the previously-scheduled date of a December release. Thanks to Boris of Un Po’ di Zucchero for the tip. “But the single biggest plus for me was being invited over to the Vatican to perform in person for the Pope, even though the experience didn’t go quite as planned. “We had to perform two songs, live on TV as part of the deal, one of which had to be a carol. We chose Little Drummer Boy, but unfortunately they pitched it in a key that was too high. “We tried to do it in rehearsal and couldn’t pull it o . The music director didn’t speak English and we had an hour before we were due to perform live for the Pope in a packed arena of 10,000 for a show going out live on TV. Anyone who was hoping to grab Dolores O’Riordan’s Kilmallock home, Riversfeild Stud, at the bargain price of €3 million has now lost their chance; according to the August 1st issue of London’s The Sunday Times, Dolores and Don have raised the price of their Kilmallock home and stable to €4.5 million. Several newspapers and tabloids have taken a gander at the home, which includes everything from tennis courts to a stained glass window displaying the lyrics of “Zombie,” since it went up for sale in April. According to the latest Sunday Times article, the new price is a “correction,” and more accurately reflects the true value of the estate. The article states that the home has generated lots of interested parties, but has yet to find a committed buyer. The Burtons are looking to settle into a home closer to Dublin in order to make it easier to travel to Canada. If you’d like to see more of the former O’Riordan home, there is an “online brochure” available over at MyHome.ie. Thanks to steady high chart positions across continental Europe, Zucchero’s duets CD “Zu & Co” (featuring Dolores O’Riordan on “Pure Love”) has now sold over 1 million copies worldwide. To date, “Zu & Co.” has achieved multi-platinum status in Italy, platinum in Switzerland, Austria and Germany, gold in France and is very nearly gold in the Netherlands and Belgium. The CD still has Top 10 status on the charts in Italy, Slovenia, Austria, and Switzerland. There are still no plans to release it here in the USA. In other Zucchero news, both Zucchero and Dolores were featured briefly in this past week’s edition of CNN International’s “The Music Room” show. The segment was on Italy’s Fesitivalbar in May. The show aired a short interview with Zucchero, then played a clip of Dolores and Zucchero performing “Pure Love” at Festivalbar, then aired a short interview clip with Dolores. Dolores told CNN that after doing the Cranberries for 13 years it’s now fun to work with other people.